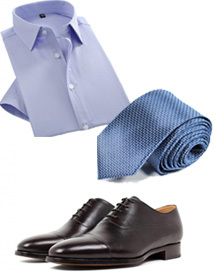 Monty Formal Wear has all of your work attire at the lowest prices. White, wing-tip or laydown collar, pleated shirts are at a special employee pricing of only $29.99. Bowties are priced at $10.00, and black tuxedo pants with or without the satin stripe are only $49.99, including hemming. ATTENTION GROOMS: Come in and check out our 4 lines of new shoes, including the new Rockefellers. Also, see our new slim-fit Blake tuxedo in navy blue with black satin trim by Ike Behar! 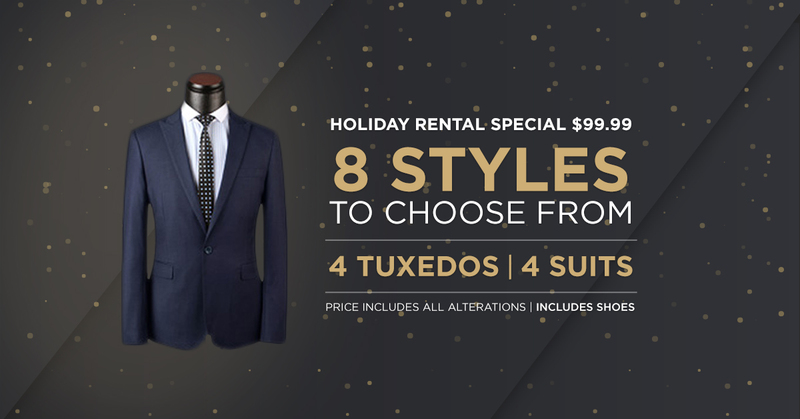 Get the right look for your special occasion with our outstanding selection of tuxedos. 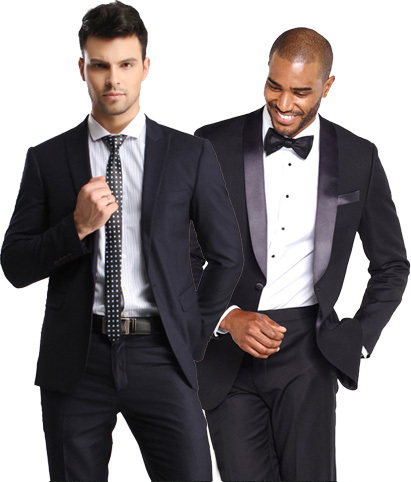 We carry tuxedos from top designers and offer a great choice of colours, styles, and sizes to select from. 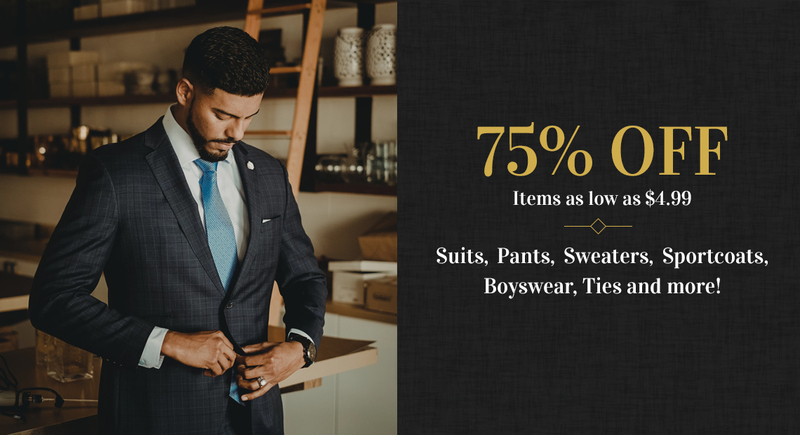 We will help you get the right suit with our inventory featuring top designers, a wide variety of colours, and a wide range of sizes to fit you. From shirts and ties to shoes and beyond, the right accessories are extremely important, and we carry everything you need to complete your look. She Deserves You in a Tux. 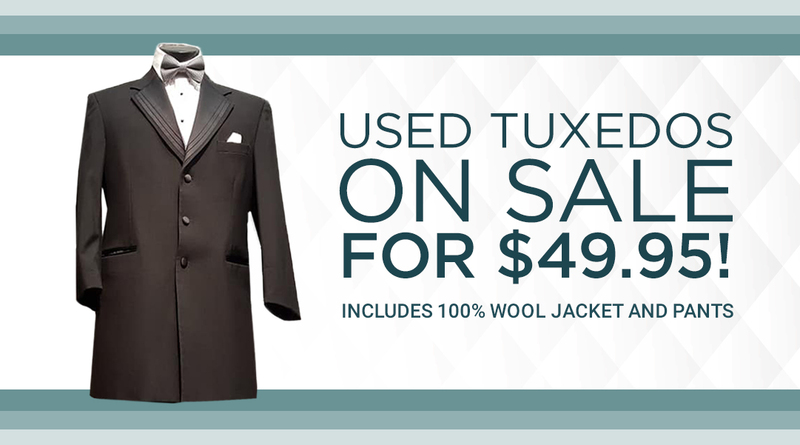 For your special occasion, she deserves to see you in a tux. 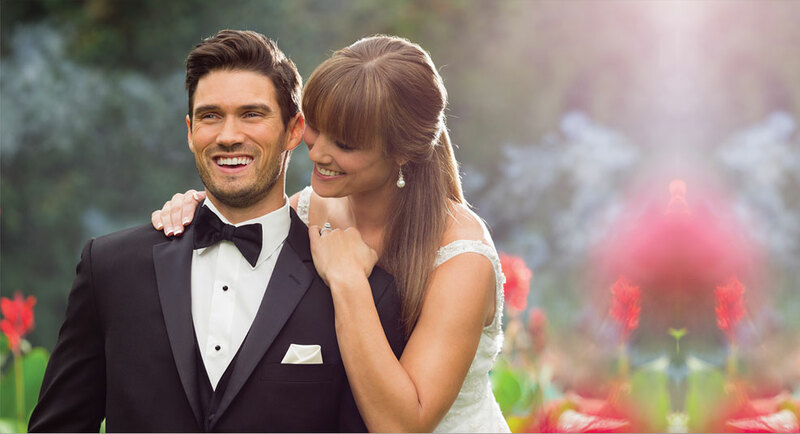 With our outstanding selection of designers, styles, and colours, we can get you the tuxedo that lets you look your best while she is at her most beautiful on your special occasion. From classic looks to the latest styles, everything we carry at Monty Formal Wear is designed to keep you looking your best. We are dedicated to making sure that you get the suit, tuxedo, and accessories that let you look just right for all of the most important events in your life.